How much is Rhea Durham Worth? Rhea Durham net worth: Rhea Durham is an American fashion model who has a net worth of $20 million. Rhea Durham was born in Lakeland, Florida in July 1978. She has been featured on the cover of many fashion magazines including French Vogue, Marie Claire, and the American and British versions of ELLE. Durham walked in the Victoria's Secret Fashion Show in 2000 and 2001. She appeared in an episode of the TV series Spin City in 2001. Durham also appeared in an episode of the reality television series Wahlburgers in 2015. 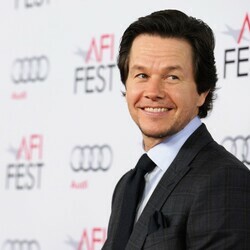 Rhea married actor Mark Wahlberg in 2009 and the couple has four children together.